This post is for parents only. 🙂 Affiliate Links are Included. 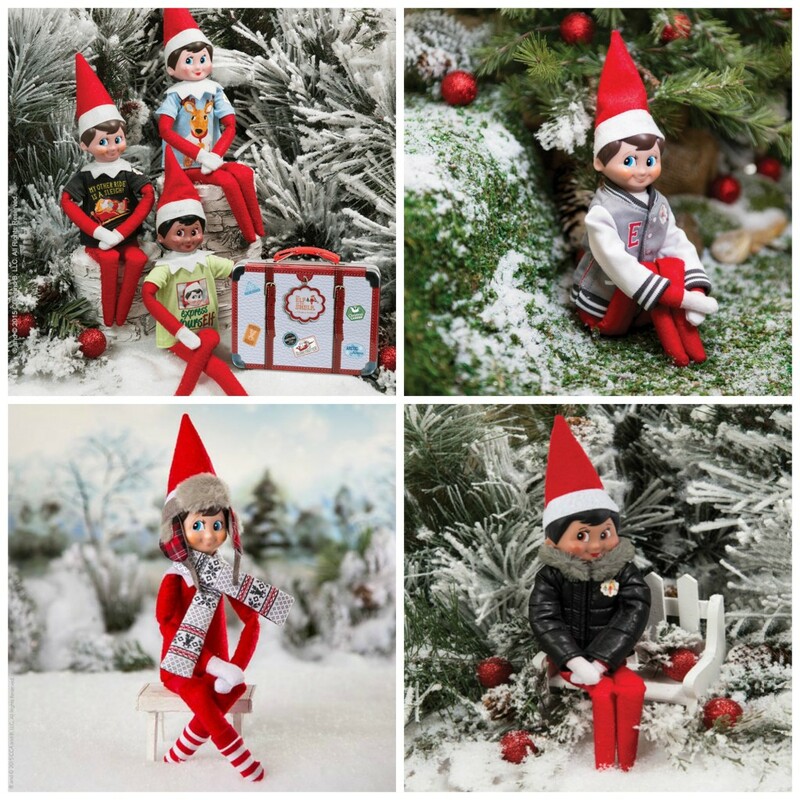 Ready or not… the elves are coming. 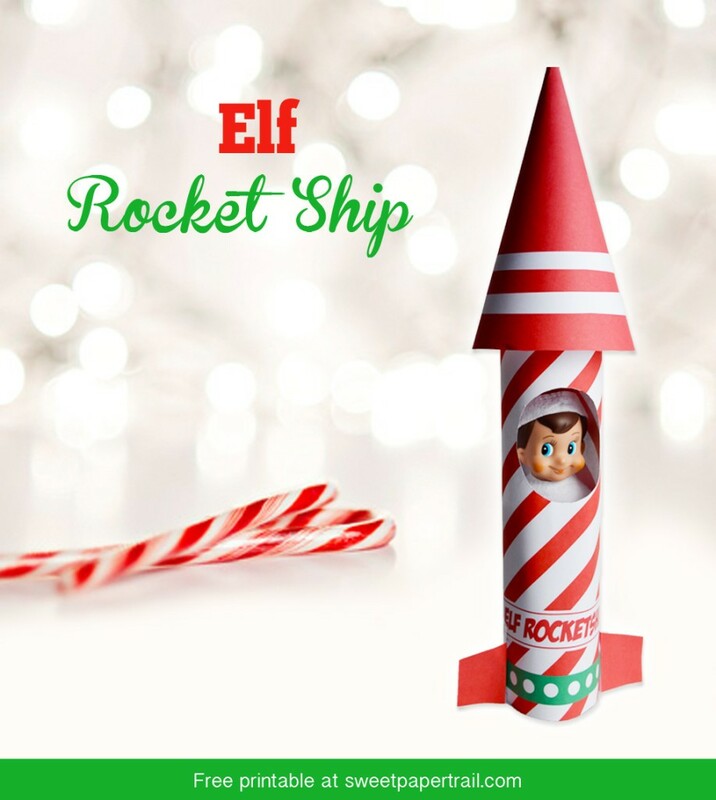 We’ve gathered all sorts of fun Elf on the Shelf ideas, printables and activities to share with you today! 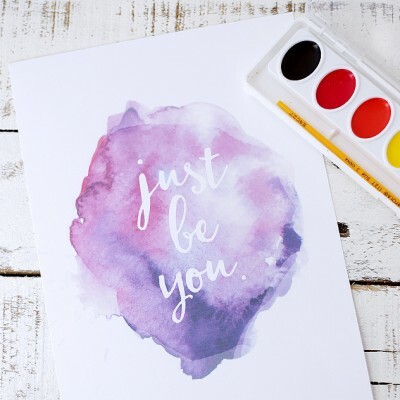 We hope you’ll find a new idea or two to add to your list this year! 1 | Bananas for Minions from Fancy Shanty. 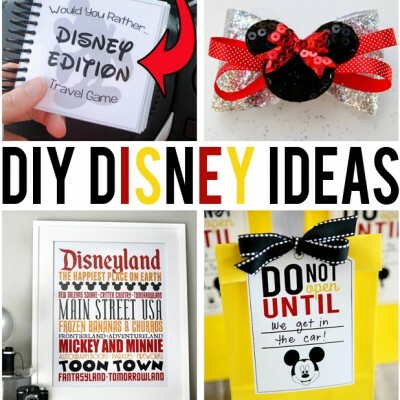 This is a super cute idea that would only take a few minutes. 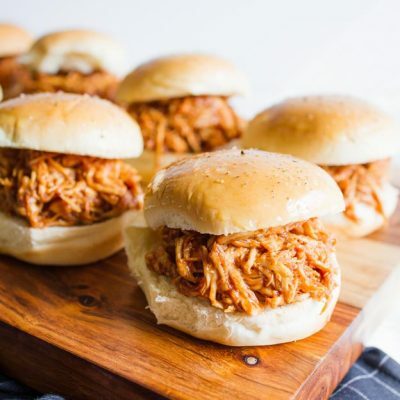 The kids will get a kick out of it and will want to eat bananas. Win-win. 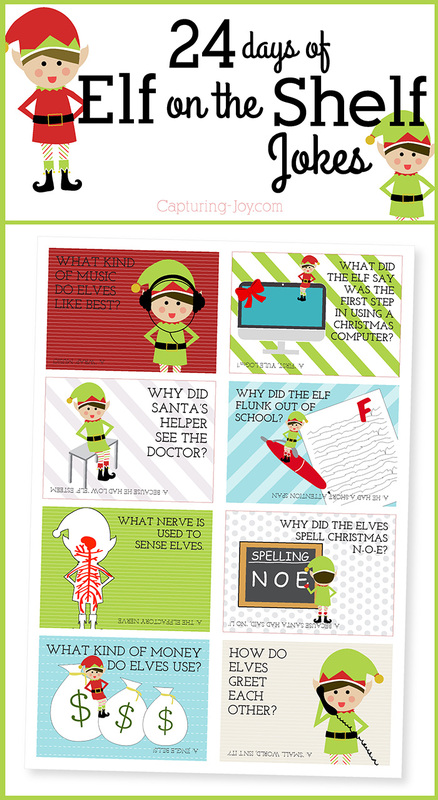 2 | Elf On the Shelf Coloring Sheets from Living Locurto. These are so fun. The kids will love coloring a picture for Santa! 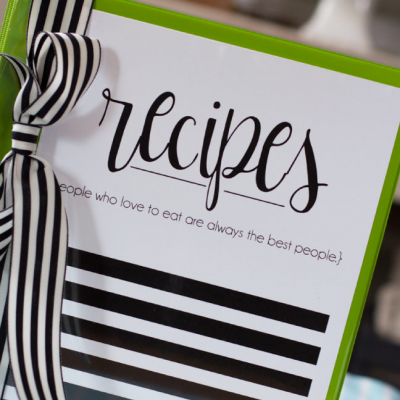 3 | DIY Elf on the Shelf Photo Album from Eighteen25. 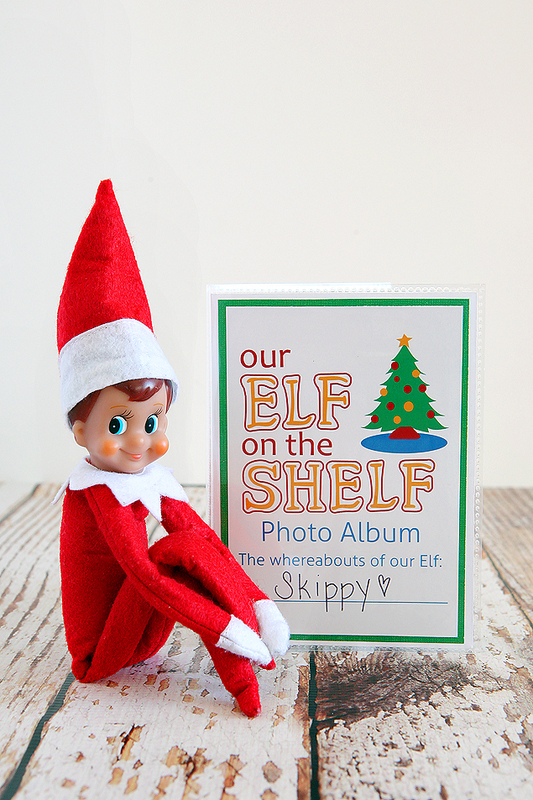 Make this fun album and keep pictures of all the fun places your Elf turns up this holiday season. 4 | Elf On a Hammock from By Evy Photography. 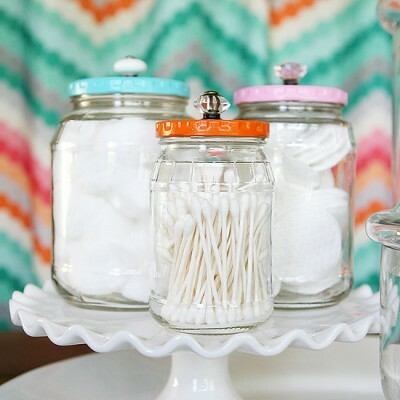 You could do this in a closet, on a curtain rod or even a shower rod. Too cute. 5 | Let it Glow, Let it Glow, Let it Glow from Picklehead Soup. This is great. Grab some glow bracelets from Target’s party aisle or Michaels dollar spot and you are set! 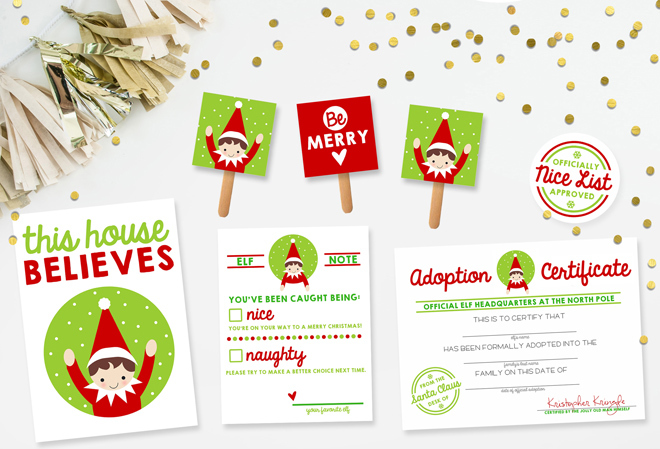 6 | Elf On The Shelf Free Printable Kit from Pizzazzerie. These are so awesome and FREE! Print them all! 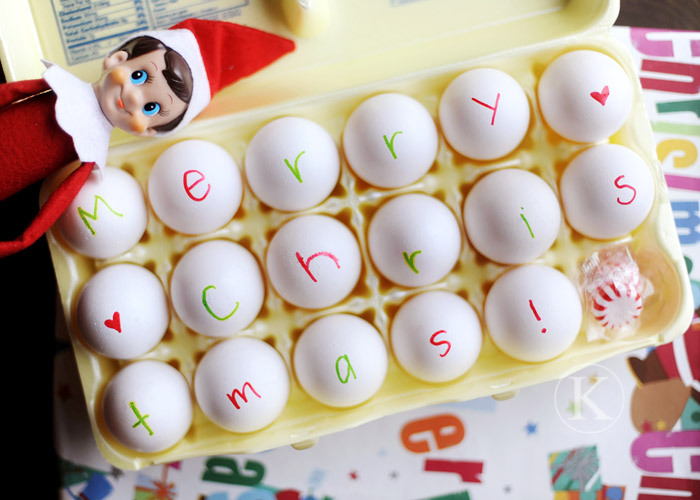 7 | Merry Christmas Eggs from the amazing Katherine Marie. Plan on having an egg breakfast. So simple and so fun. 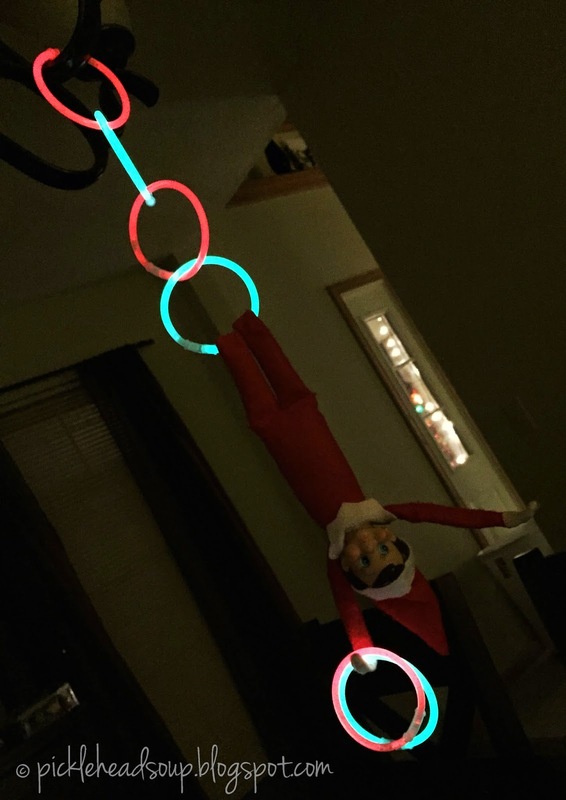 9| Elf On The Shelf Returns in Style from Eighteen25. 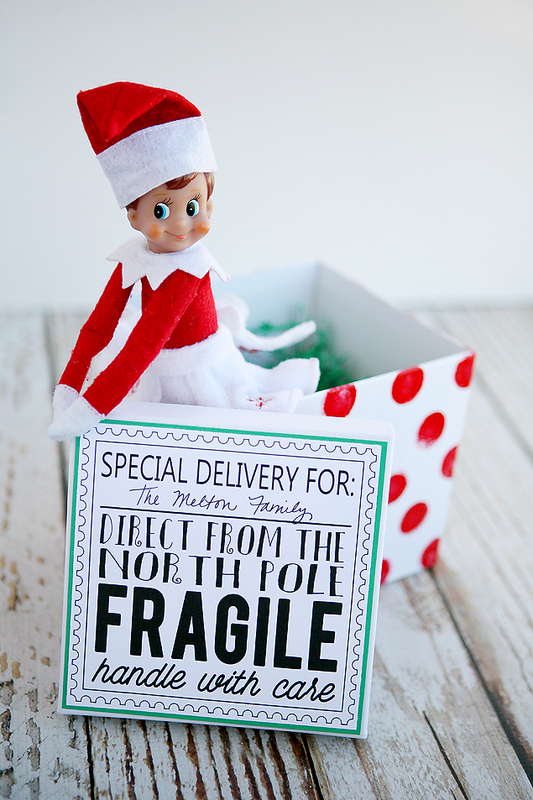 Make this adorable box for your elf to be delivered in. Stick it the freezer a couple hours before you deliver it to your kids. Magic! 10 | Hide and Seek from Simple As That. Everyone loves a little game of hide and seek. 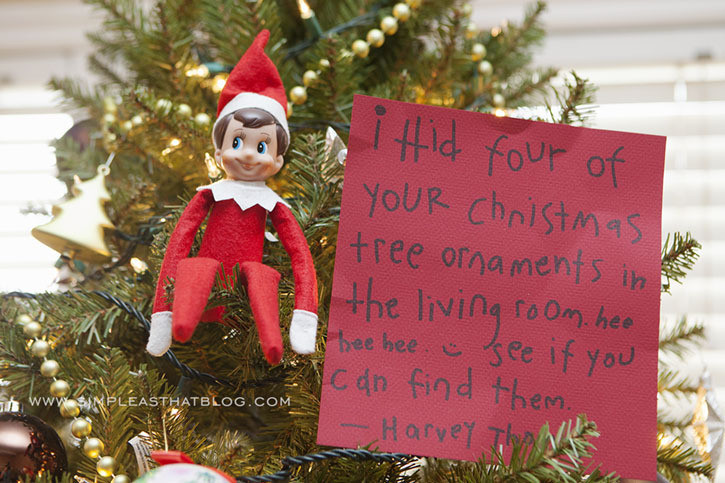 Use Ornaments or Candy Canes… too fun! 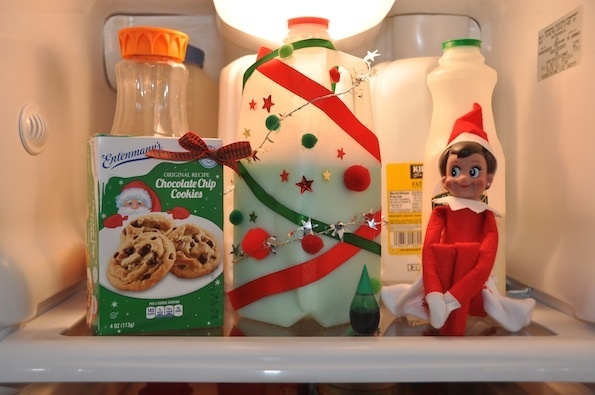 11 | Elf Cocoa Party from Sweet C’s. 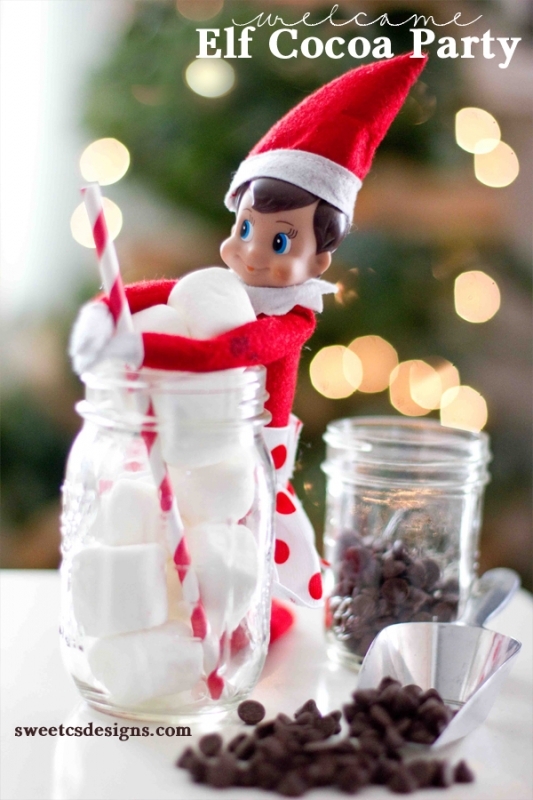 Throw a Cocoa Party when your elf arrives or maybe your Elf can bring all the goodies for a night of yummy hot cocoa! 13 | Accessorize your Elf. Love these new clothes out this year by Claus Couture Collection. The Graphic Tee Set, The Letterman Jacket, The Polar Pattern Set and The Puffy North Pole Parka. Way to cute!! 14 | Elf Goodbye Gift from Eighteen25. 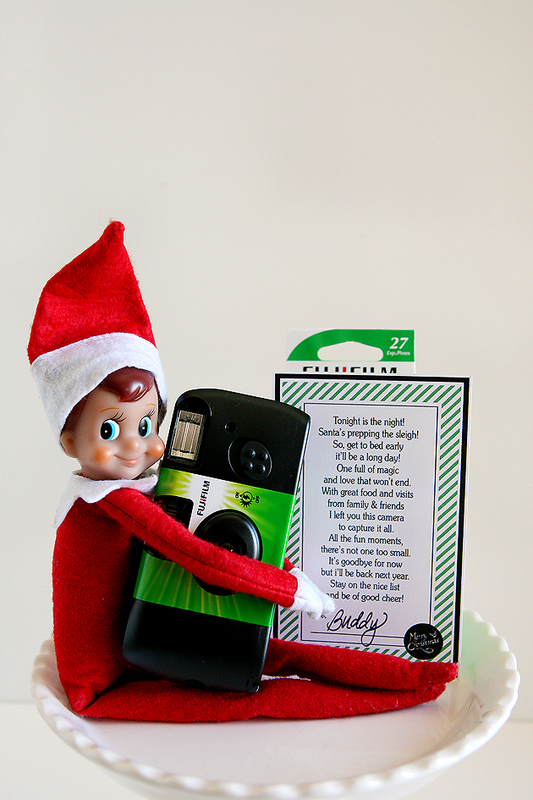 The Elf brings them a camera on the last day so they can take pictures of all their fun, family and friends on Christmas day. 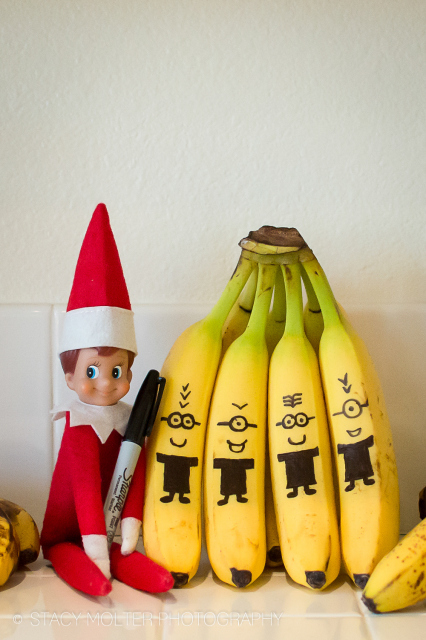 15 | Elf on the Shelf Lunch Jokes from Capturing Joy. 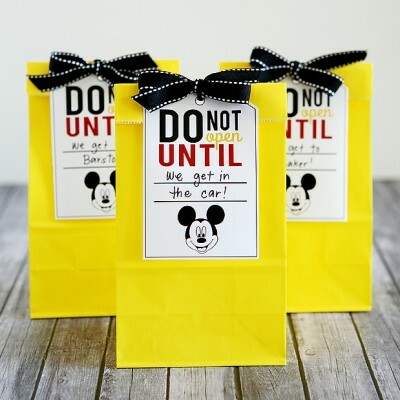 An extra little surprise in their lunches each day will be sure to put a smile on their faces! I love all the ideas I have one and I can’t wait to pull it out!